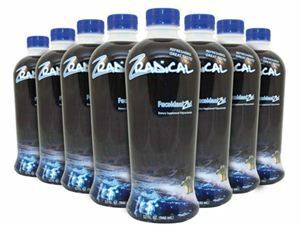 ZRadical, with 50 mg of pure fucoidan, it is an advanced biotherapeutic drink. Being the best combination of nature and science, this powerful blend is formulated to support immune, cardiovascular, neurological, and wholehealth. All are gathered in a great tasting drink which the whole family can enjoy. Fucoidan is a sulfated polysaccharide and has been recognized as a key to have a long and healthy life. It has been used for centuries in its health claims in Japan, South America and Europe. Our fucoidan comes from marine plants harvested and used environmentally responsible for the North and the extreme south, where the ocean is the purest and coldest in the world. Fucoidz: it contains 100% sea vegetables and has certified organic fucoidan. According to a research, fucoidan can provide powerful antioxidant and immune support.